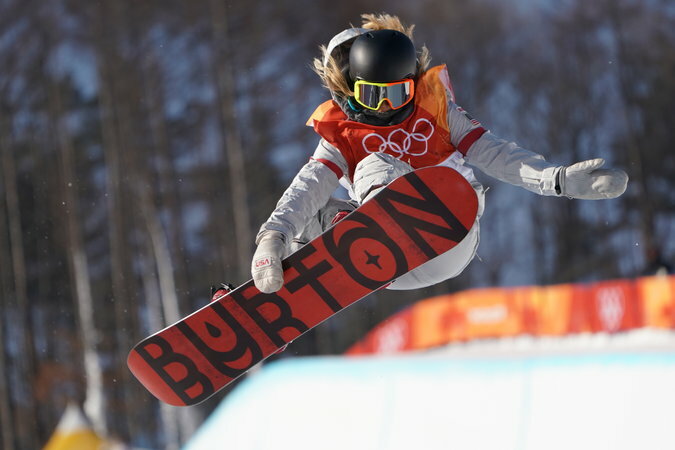 White, 31, had just produced two near-perfect halfpipe runs to lead the field in the qualifying event. On Wednesday, he proceeded to outdo himself and everyone else in the final. He won his third gold medal in four trips to the Olympics with a masterly final run that earned him 97.75 points and a narrow victory over the Japanese teenager Ayumu Hirano, who had posted a 95.25 on his second run. White’s 11 competitors averaged 21.9 years of age, led by Hirano, 19, who last month became the first snowboarder to pop back-to-back 1440s, or four revolutions in competition. Before he succeeded, he had several mishaps, including slamming into the wall on a double cork 1440 and injuring his left knee and liver. When White was Hirano’s age, he won the first of his two Olympic titles with a run that included two 1080s. Playing catch-up with the sport he revolutionized, White uncorked two 1440s in the final — including the same trick that he badly missed in a recent practice session, resulting in a gash that required 62 stitches. “I watched these young guys do amazing runs and it fired me up,” White said. It certainly did. Hirano had nailed a ridiculous series of stunning flips and twists on his second run, but he fell on his third and final ride. That left the door open for White, who delivered the run of his life to win the third gold medal of his career and his first since 2010. He finished fourth in Sochi four years ago. The quest for more complex tricks is coded in the DNA of adrenaline-seeking athletes like White, passed down from generation to generation. “It’s just the evolution of the sport,” White said. But in pushing the envelope, the athletes are also pushing their own luck. A gloom fell over the halfpipe on Wednesday when 16-year-old Yuto Totsuka, the youngest finalist, ricocheted off the wall during his second run and spun out. He landed hard on his side, injuring his hip. He was tended to by paramedics, who immobilized him on a sled and carted him off the course. Japan’s team manager said Totsuka was conscious and had been taken to a nearby hospital. His injuries were not deemed to be serious. Roughly 7,000 miles away, Kevin Pearce was rattled by Arthur’s fall as he watched the final from his home in Vermont. “It looked so bad that I just hope she takes it seriously enough and gets the help she needs,” Pearce said in a telephone interview. According to an Australian team official, Arthur was checked by a team doctor, who didn’t believe she had suffered a concussion but said that she would be monitored for the next 36 hours. 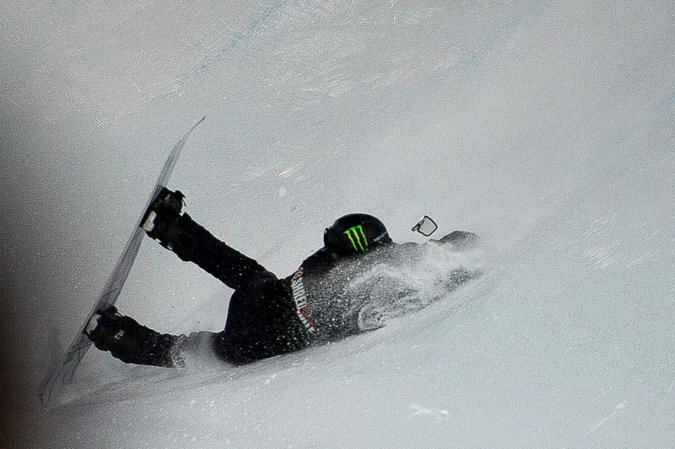 Arthur’s crash reminded him of a bad spill that he walked away from during a U.S. qualifier before the 2010 Games. For the next several days his head didn’t feel right, Pearce said, but he kept his symptoms — nausea, sluggishness and mental fogginess — to himself. He was expected to challenge White for the gold medal at the Vancouver Games, and he did not want to jeopardize his chances of making the Olympics. 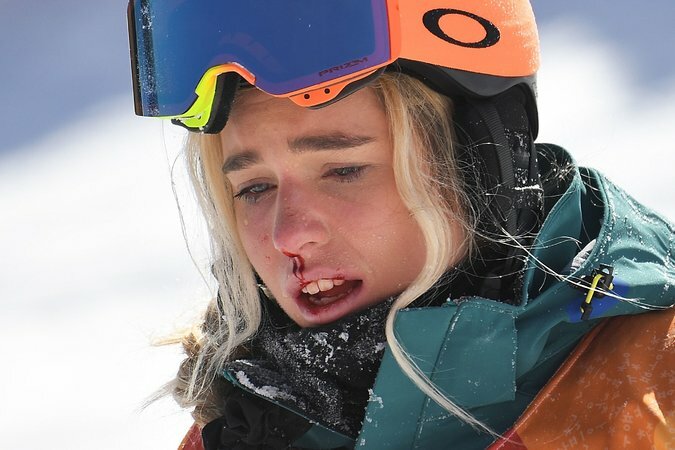 Less than two weeks later, Pearce sustained a traumatic brain injury during training when he hit his head on the edge of the halfpipe. He remained in a coma for weeks. In retrospect, he said, he believes that he sustained a concussion in the earlier fall and that it contributed to the later crash that ended his competitive career. Pearce and his older brother Adam, whom he followed into snowboarding, have called for a concussion-management protocol that would require young athletes to undergo baseline testing — a computerized assessment that measures reaction time, memory capacity, speed of mental processing, and executive functioning of the brain. Then, if they crash, they can be tested and have those scores compared with their baseline numbers. In the aftermath of his crash, the Pearce brothers established a nonprofit organization, LoveYourBrain, to raise brain health awareness. Kevin Pearce, 30, still experiences double vision, but his sight has improved enough that he recently was able to ditch the corrective glasses that he had been wearing for the past eight years.